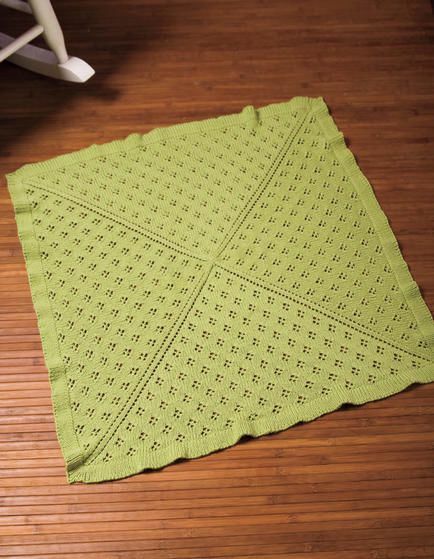 This square baby blanket is knitted in-theround,"from the center out. Because its worked this way, this design is easily adaptable to any yarn weight. Choose a sock yarn for a thin, light blanket, or a worsted-weight yarn for a warm snuggle-up blanket. 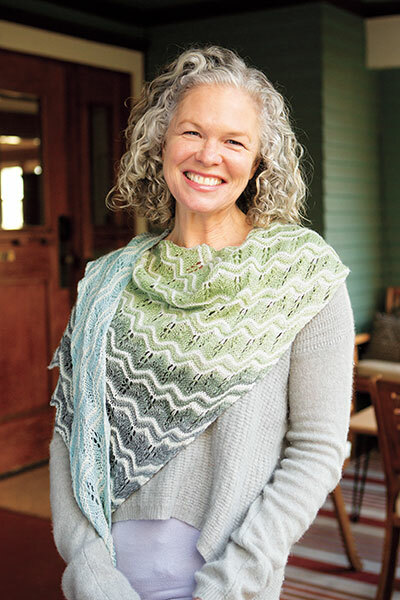 Swish DK is perfect for an in-between weight. The all-over lace pattern is simple enough to work while watching TV, but interesting enough that it wont put you to sleep. 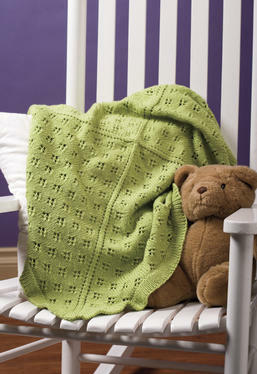 This blanket would be a great heirloom gift for a precious little one.